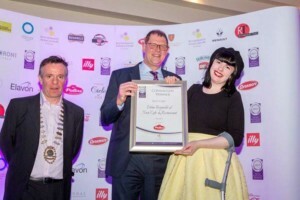 What a glorious night of awards for Sligo Food Trail members at the Restaurant Association Awards this week. 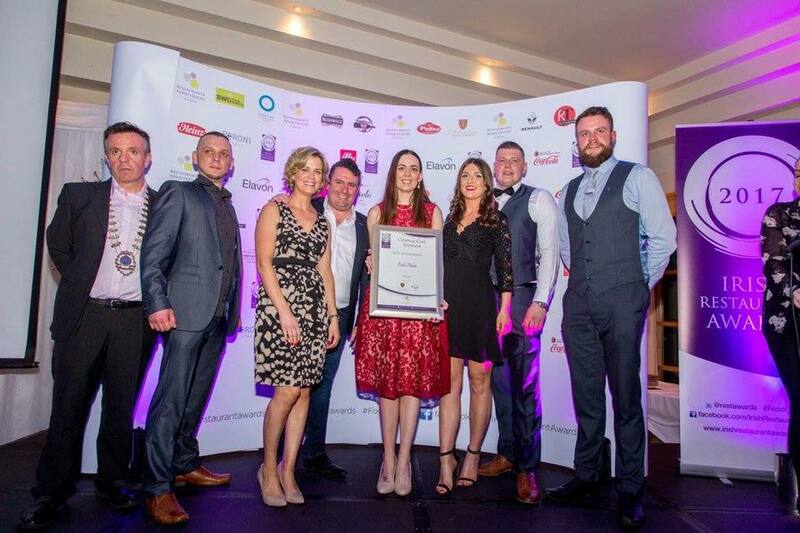 The #FoodOscars brought many of our members to the fore winning their county categories and going on to the overall national finals in May. 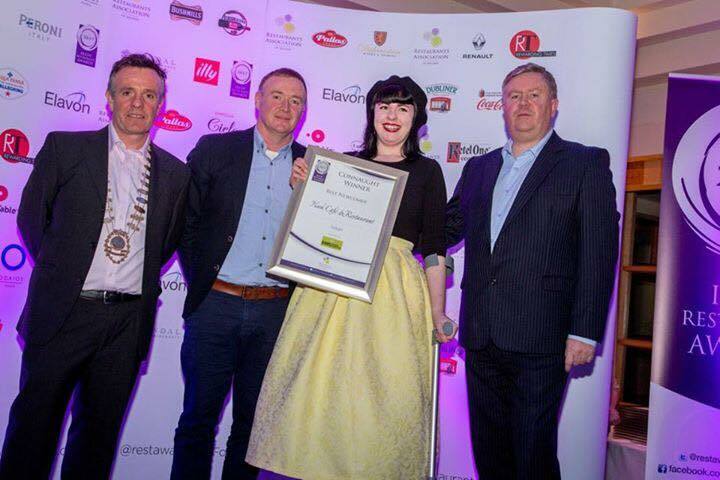 600 people attended the gala night in the Radisson Blu Hotel – another member of Sligo Food Trail. 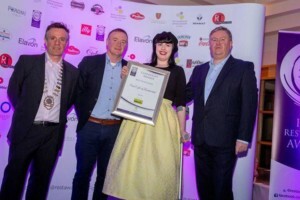 Eala Bhán in Sligo Town which won Best Restaurant. 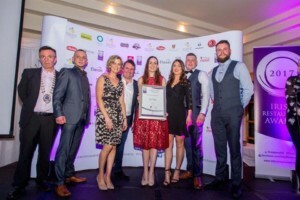 The Draft House in Strandhill was crowned Best Gastro Pub. It’s a double win for The Draft House this week as the gastro pub has also been included in the Hot Press best of 100 restaurants in the Ireland. 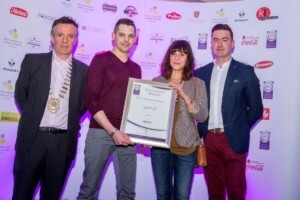 Lyons Cafe in Sligo town was worthy winner of Best Customer Service. 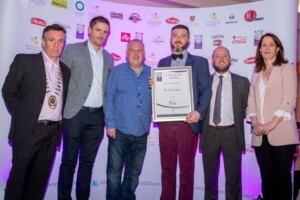 Hargadon Brothers in Sligo Town came out tops in the Best Wine Experience category. 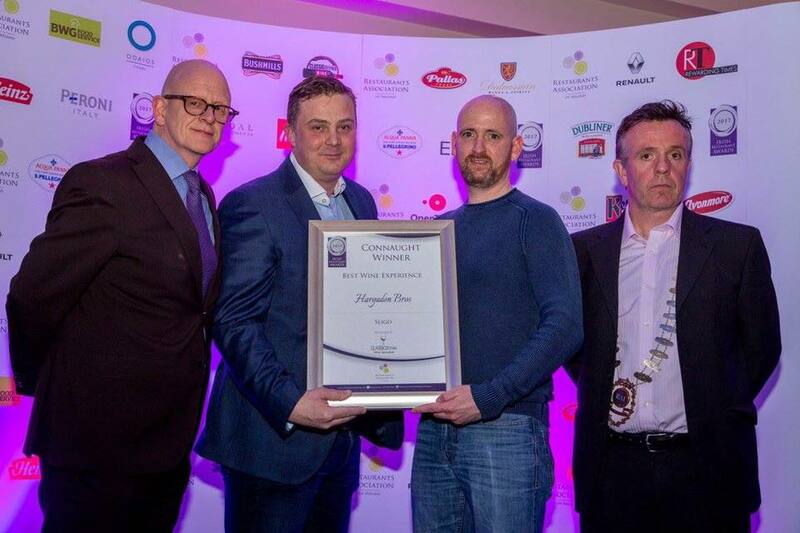 Good luck to all in the national finals in Dublin next May.